Duck is becoming a popular choice for Christmas lunch/dinner and this one is a great choice, not only because of its superb flavour but because all the hard work has been done for you. There are no fiddly bones that make carving such a chore, no arguing over who get a leg or a wing. 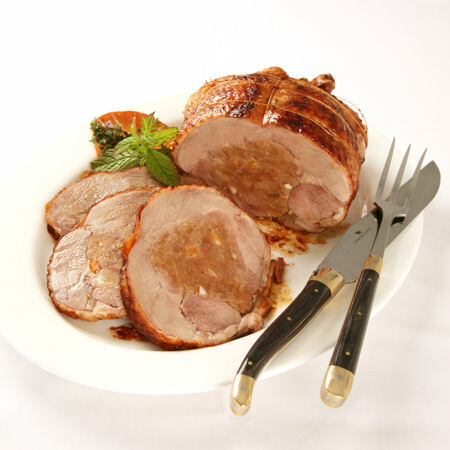 All you have to do is cook this fabulous boned and rolled duck that has been filled with a gorgeous turkey and orange stuffing and then carve it into beautifully carved slices for you and your family to enjoy, nothing could be simpler. This duck will weigh a minimum 1.65kg and will feed 4-6 people.